A fast-paced thriller that made me read non-stop! When I read that the story will revolve after an earthquake, my interest just sparked. 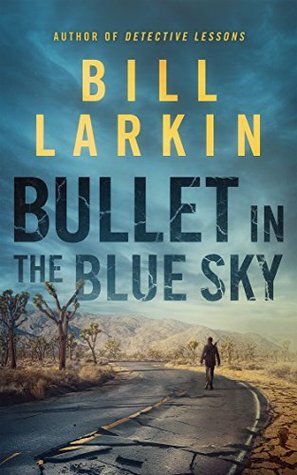 I'm a fan of anything tragic yet of course, Bullet in the Blue Sky is not a dramatic novel. It's thriller. Crime. Involves police deputies on a mission. ANYWAY, I think that the whole setting is good and at times while reading, I really wish that I know the area. I bet it will help my visualization of the setting and what the aftermath really looks like -- there are mention of streets, intersections, and such. A bit difficult for me to really think about since I don't live in the US. But really, completely visualizing the place isn't really the whole point of this novel. There are still a lot of interesting things going on with this setting such as the panic and riot in people. Crimes in every corner -- gang shootouts and such. Really dangerous things. The devastated streets are well depicted and vividly described. At first I thought it's going to be a first person and single POV but as I read on, several POVs were introduced and they are all in third-person. Confused? Let me make it clear: there's one first person POV and that's Schmitty's POV, the rest are third-person. Okay? Now, how does this multiple POV go? What's the point of it? It's basically to really just show the whole scope of the events. It doesn't just involve the present period since it explores the relationship with Deputy Jenkins and Detective Shaw. And this, of course, establishes certain parts of their characters and the story. 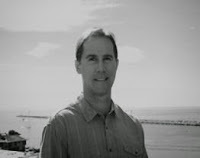 A team of police deputies are in search for Detective Shaw. Why? That is to be revealed. I like how a set of police deputies were set into a mission they know nothing about and had to blindly follow through. This side of the story really kept me reading. My head just keeps on asking, why? It's really intriguing from start to finish especially when things are slowly being revealed. Yet of course, while everyone's getting frustrated with the things they encounter, they pursue this mission and we get to find out that Shaw holds important information. While most books that involves police officers and detectives involve a lot of thrilling mysteries and psychological aspect. Bullet in the Blue Sky really felt more intriguing and action-oriented. There's always something going on, and battle being fought, and an intriguing mystery that kept me pondering. This book really kept me reading non-stop! My only gripe for this book is that some information felt a bit heavy for me. I'm not saying they are to be omitted in the novel. I just think that some things are like info dump for me. That could, of course, just be me. My tiny brain just can't handle so many things at once or something. 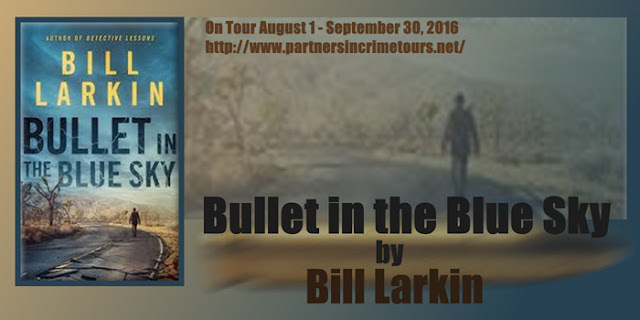 OVERALL, Bullet in the Blue Sky is an action-packed and intriguing read. It's a vividly written novel that really kept me reading page after page. It has an intriguing mystery, action at all places, and a really thrilling pace.